Taneesha Davis is a writer and editor living on the Mornington Peninsula. Visit girlbossmag.com.au for more. Have a Trolls fan at home that loves to sing and dance as much as main character Poppy does? Your child will love meeting their favourite troll Poppy at Lollipops Carrum Downs. 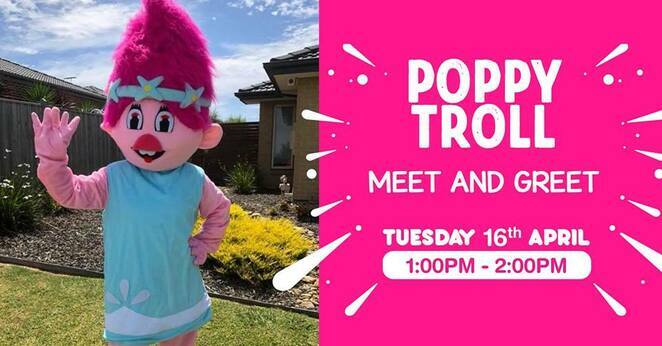 On Tuesday 16th of April, from 1pm - 2pm, Lollipops Playland Carrum Downs will host a meet and greet with everyone's favourite Troll - Poppy! Poppy will be visiting the centre for photo opportunity, to chat to the children and to enjoy a song and dance with everyone! Poppy will only be available for an hour, but children will want to stay for even longer at this local favourite indoor play centre. Lollipops Carrum Downs has a great range of food and drink options at their cafe, and has a range of play equipment for all ages. A pirate ship, indoor rock wall, toddler area, jumping castle and more will keep the kids entertained will you have a coffee! No bookings needed, but showing up early on the day is recommended.